Returning to his roots at the Golden Nugget, singer-songwriter Clint Holmes kicks off his limited residency. 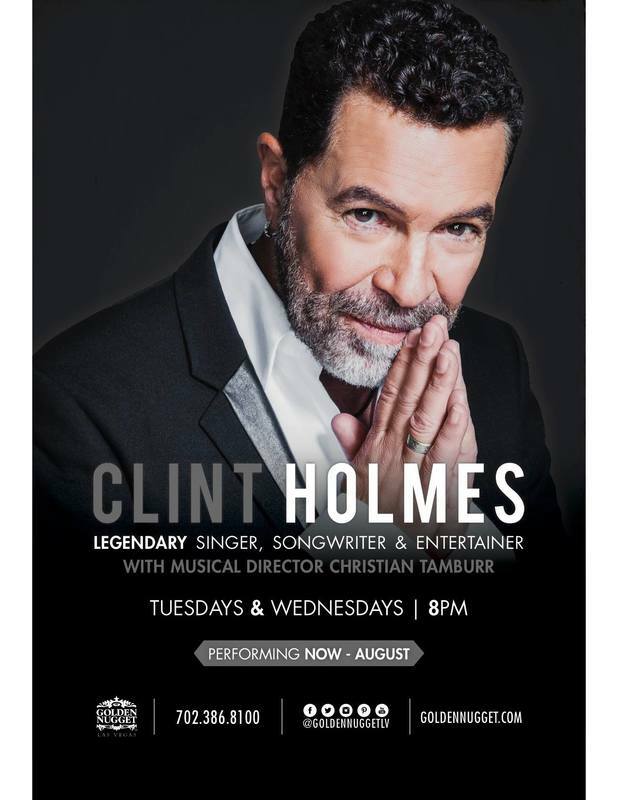 Holmes dazzles audiences with his vast repertoire of all genres of music including some of his originals Tuesdays and Wednesdays at 8PM through August. Clint Holmes is more than just a remarkable singer. He is a consummate entertainer, performer, recording artist, and one of the country’s finest vocalists. Whether he is singing selections from the Great American Songbook, contemporary classics, or stirring original pieces, every performance is a one-of-a-kind mesmerizing and unforgettable experience. In Las Vegas, Holmes has won numerous accolades for his performances, including "Best All-Around Las Vegas Performer," and "Favorite Male Las Vegan" by the Las Vegas Review-Journal; "Best Kept Secret," and "Best Singer" (two years in a row) by Las Vegas Life Magazine; named by Broadway World as "Best Singer" in both New York and Las Vegas in 2015; plus he was named Nevada’s "Ambassador of the Arts" in 2015. Holmes has been inducted into the Buffalo Musical Hall of Fame (his hometown), and the Las Vegas Casino Legends Hall of Fame.